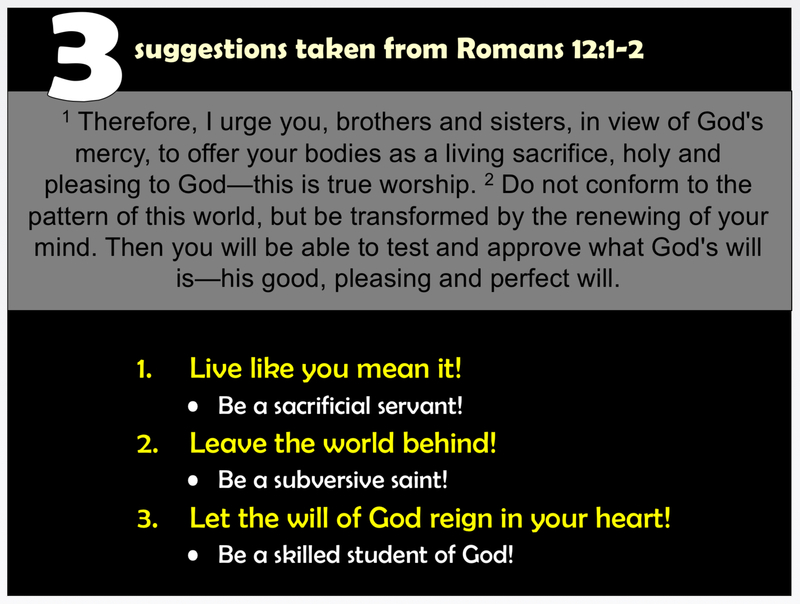 Live like you mean it — Be a sacrificial servant. Leave the world behind — Be a subversive saint. Let the will of God reign in your heart — Be a skilled student of God.